1. 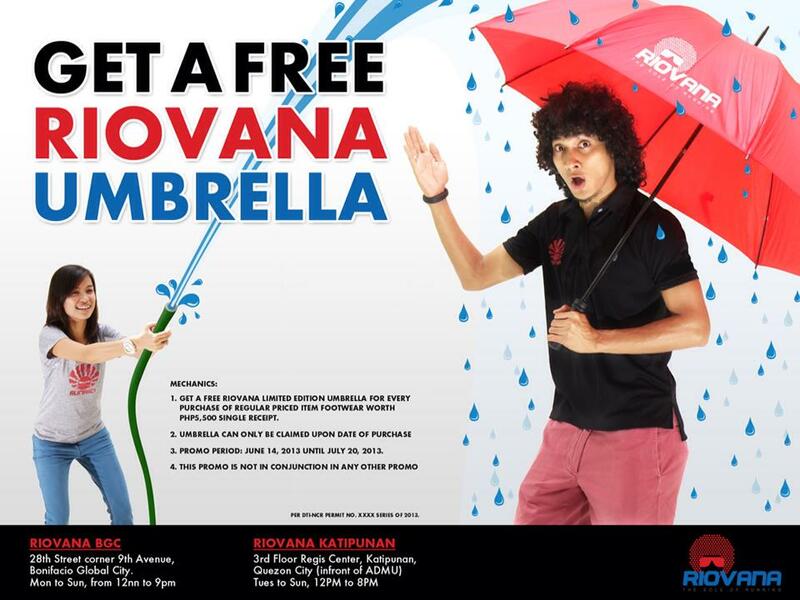 Get a free Riovan Limited Edition Umbrella for every purchase of regular price item footwear worth Php5,500 single receipt. 2. Umbrella can only be claimed upon date of purchase. 4. This promo is not in conjuction in any other promo.